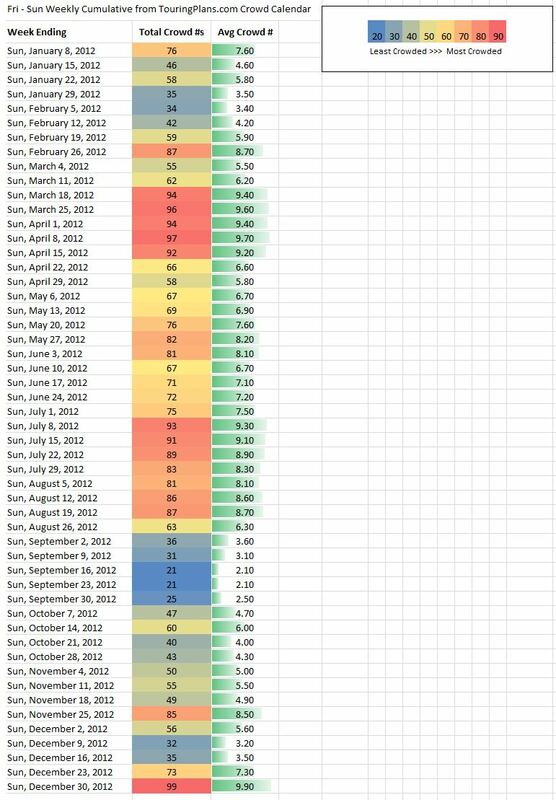 As of the first of the year it looks the least busy weeks for Disney World crowds will again be in September – the week ending 9/15/12 and 9/22/12. 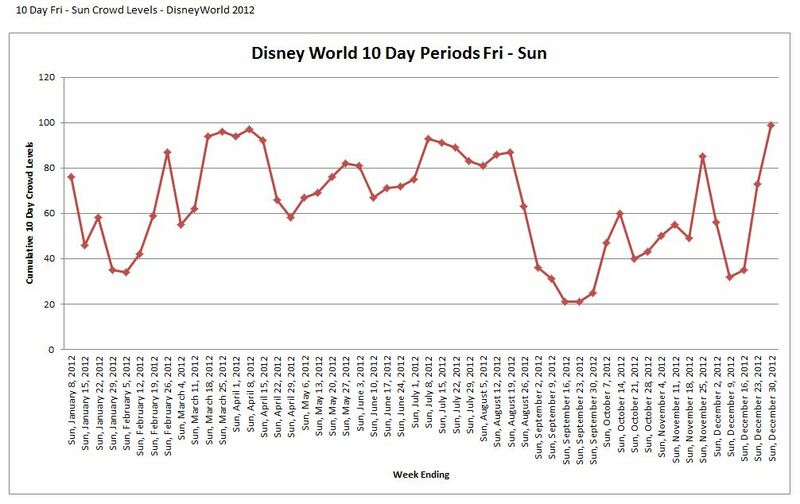 Looking at the charts below keep a few things in mind – first these are estimated crowds based on average wait times throughout all the parks for these times of the year and are shown for the week ending with the date indicated. Also remember that this data will change throughout the year but rarely enough to change the overall information and advice these charts can provide. 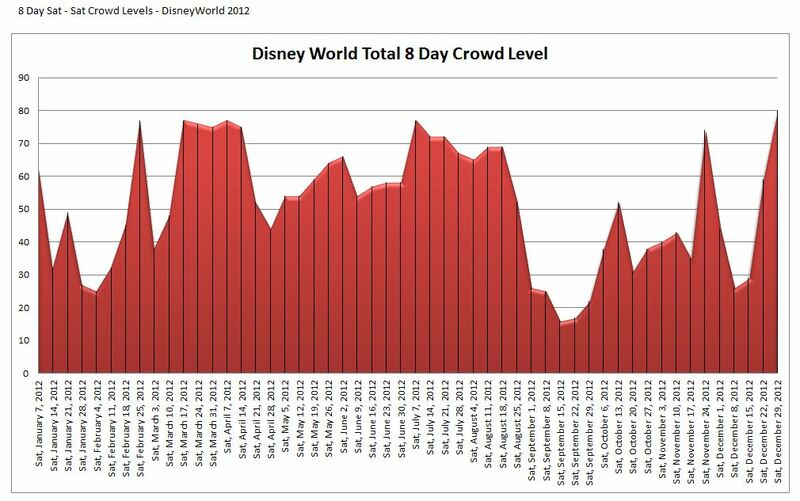 There are many factors that go into planning a Disney World Vacation but if crowd levels is part of your planning in 2012 I hope these help. Please contact me if you have any questions. Again, same data as represented in crowd level charts above just another way to look at it. 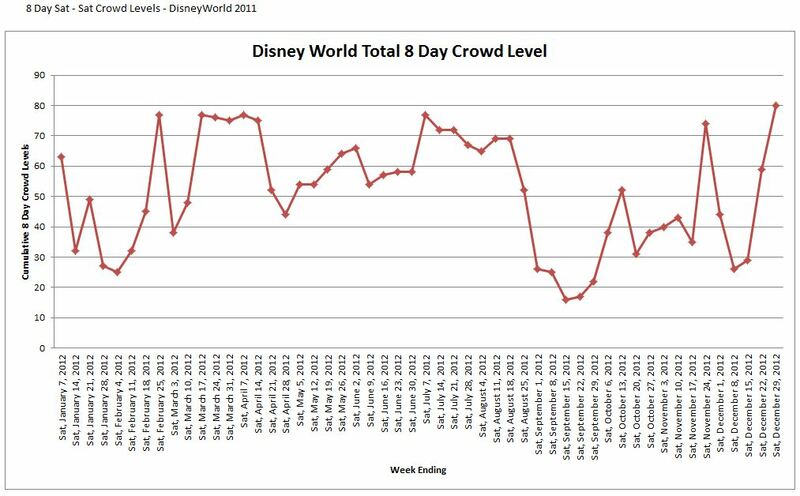 So there you have it – a quick glance at the estimated crowds you might find at Walt Disney World throughout 2012. It’s one of many factors that should influence your Disney vacation planning.